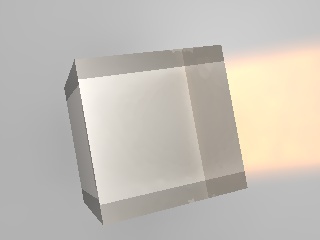 i unsuccesfully try to have simultaneously caustics (from a cube) and a white plane. my problem is that the plane is not white but grey or rose. my scene is simple , a transparent cube (ior set) a white plane , a photon lamp, a GI with emit pwr= 0.87.
if i put the plane to shadeless, the caustics disapear. if i put a lamp in the same layer of the plane, the caustics also isn’t visible. since i spend too many hours to fix the parameters, i am completly lost on the parameters i have to change.